Athens’ battle against food insecurity has been an ongoing struggle. Food insecurity was 22 percent in Athens-Clarke County in 2016, according to Feeding America’s “Map the Meal Gap” project. That’s 26,340 people who do not know where their next meal will come from. 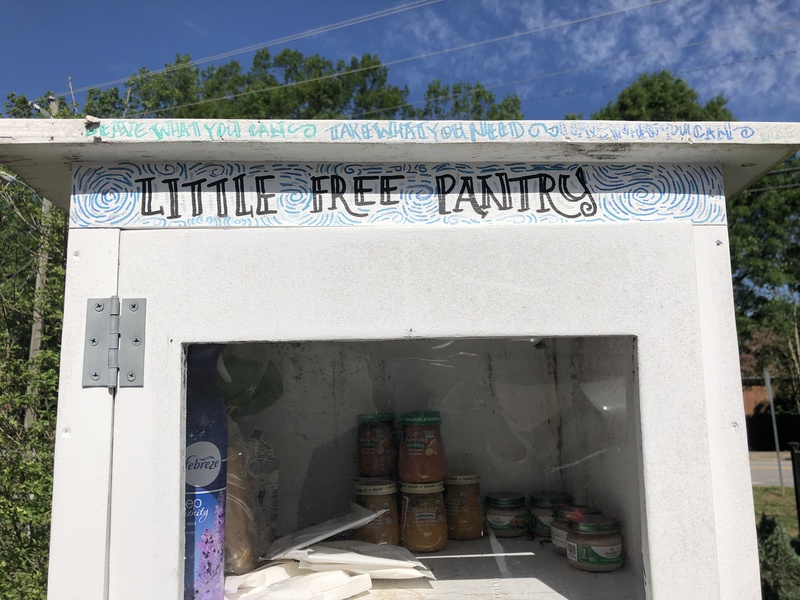 To combat hunger, two years ago, LEAD Athens, a program in the Athens Chamber of Commerce, decided to place Little Free Pantries throughout Athens. Kevin Clark is the steering committee chair for LEAD Athens. He said he has seen the benefits of the Little Free Pantries. “I have actually seen the benefits [of the Little Free Pantries]. I have seen people storing stuff in them which is always nice to see. I definitely see people taking from them or checking them. I’ve seen some that have been empty,” he said. Clark says the Little Free Pantries help to alleviate some of the economic inequalities in Athens. Students at the Double Helix STEAM School in Athens have also gotten involved in the establishment of the Little Free Pantries through an elective course where students helped with construction and solicited donations.